At Life’s Journey we celebrate life. Last week, just after the Sanctity of Life was celebrated in many churches across America, the government of New York state passed a new law allowing doctors and parents to kill a child in the womb after the 24th week of pregnancy. Many are calling this law barbaric while some are championing it as some kind of mercy. The Life’s Journey community is saddened by how so many people see the death of a child as merciful and we are saddened by the hopelessness professed by others. Many will say in anger that this new law is proof “God has turned his back” on New York or America. The misconception is that if sin increases, so too must the distant between us and God. The coming of Jesus changed that relationship. Although God is perfect and holy, he is not pushed away because of our sin. Rather, it is because of our great sin that he came closer to us. The Apostle Paul summarized the life of Jesus when he wrote, “but where sin increased, grace increased all the more” (Romans 5:20b). Listen as Pastor Casey reminds us that the sound of rising sin is the promise of coming grace. We pray not for condemnation, but for confession and revival. 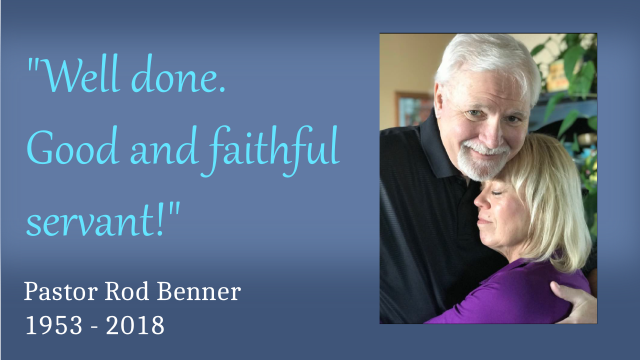 One year ago today, Pastor Rod Benner preached his last sermon. The previous year saw Rod survive through a massive heart attack and then God’s amazing, wondrous healing power in Rod’s life. Still recovering from the months of rehab and doctors’ visits, Rod entered the pulpit on Sunday morning, January 21, 2018, to preach as if he had many, many more Sundays ahead of him. This sermon now stands as the perfect farewell sermon from a pastor who changed the lives of so many. This sermon is worth remembering not only because it contains an encouraging message, but it is yet another example from Rod Benner of how to live the Christian life well. Rod could have retired once the heart attack hit. He could have decided it was God’s way of telling him to stop. He could have quit, but instead he kept serving and fulfilling the call of God on his life. Rod and Sherry were able to watch their years of training and development paid off as the people of Life’s Journey Christian Fellowship continued to be a team and continued on with the vision and mission the Benners helped us form. Rod always had his focus on today with a look to the future. To Rod, life was not measured by what happened yesterday but by what Jesus is doing today. If you couldn’t see God’s purpose yesterday, today is the day to receive new vision. If you didn’t feel God’s love yesterday, today is the day to receive it. If you didn’t know Jesus yesterday, today is the best time to meet your new best friend. Be encouraged by the legacy of Rod Benner, so well summarized in his last sermon “Supernatural Sight”. As you prepare for the Thanksgivings holiday rush, prepare to be thankful. Whether it’s easy to be thankful this week or especially hard this year, fix your eyes on Jesus and thankfulness will spring up from whatever situation you’re in. Last year, one of the Life’s Journey elders, Tary Hanson, shared a message on how to prepare for Thanksgiving. As you find yourself running around preparing for tomorrow’s big event, take the time to listen to this powerful message.